After eight years of volunteer service, Kathy Gunter Sullivan, CG, of Charlotte, North Carolina, has retired from the BCG Education Fund board of trustees. From 2007 through 2014, Kathy was the Education Fund secretary and streamlined its administrative procedures. She led the trustees in planning and executing its programs, which are the annual Putting Skills To Work workshop, the biannual Helen F. M. Leary Distinguished Lecture series, and the Mosher Award for Colonial Virginia Research. She secured exclusive one-year rights for the Education Fund to outstanding lectures by Thomas W. Jones and Elizabeth Shown Mills. She promoted incorporating additional topics into the Education Fund’s offerings, such as law, proof arguments, and genetics. In 2015, Kathy stepped forward to serve as treasurer pro tem. Her forward thinking and organizational skills contributed to the Education Fund’s substantial presence in genealogical education. Kathy is celebrating her twentieth year as a BCG associate. In addition to a 1992 history of her German-descent Dellinger ancestors, she edited and published nine volumes of original records of five different North Carolina counties. Her work was recognized in 1990 and again in 2003 by the North Carolina Genealogical Society with its Award of Excellence in Publishing and by the North Carolina Historical Society’s 1990 Award of Excellence. She created the Lincoln County Tax Records Project 1778–1840, making it available on North Carolina GenWeb. She frequently teaches, presents, and publishes in her geographical region.  Numerous articles have appeared in the North Carolina Genealogical Society Journal, and she is presenting a webinar for the Society on 18 September 2015. Kathy is an assistant editor of OnBoard, BCG’s in-house publication, and co-administrator of a private Dellinger family website. 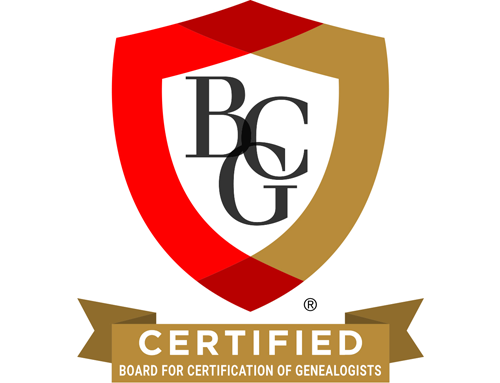 CG and Certified Genealogist are service marks of the Board for Certification of Genealogists, used under license by Board-certified genealogists after periodic competency evaluation, and the board name is registered in the US Patent & Trademark Office.